1. Welcome and Attendance: Tom Hall, President, Ken Weigand, Vice-President, Dave Miller, Treasurer, Dan Ross, Secretary, and Tracy Rhoads, IT Manager. Board Members: Lin Manning, Mike Walsh, Steve Katsmann, RSAA liaison and member RTAA Board of Trustees, RARA Representative Terry Matter, and Mike Dikun, Reno-Stead Airport Manager. Board Member(s) absent: Lew Gage, Don Osborne, and Alby Redick. 2. Minutes of Last Meeting: Approval of the Minutes of July 9, 2013 meetings was unanimous. 5. RTS Manager’s Report: The new Terminal is on time and on budget, past the 50% completion point. The Occupancy Permit is expected December 12th. A Young Eagles Flight Program (ages 8-17) flown on June 22, was judged an outstanding success. The annual RSAA BBQ was catered by Dickey’s BBQ and 60 members and friends attended. All Fire Inspections should be completed by now. 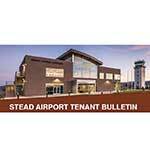 If you need to reschedule, see Patty, at the Stead Airport manager’s office, 328-6573. A detailed tenant notice of proposed RARA operations and restrictions during Race Week will be published circulated shortly. 7. RARA Trustee Liaison Report: All the PRS pertinent info sent out by email. 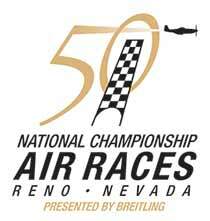 There will be copious amounts of FAA oversight during the Race School. 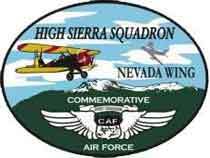 Additionally, a TFR will be established encompassing the Reno Stead Airport and the airport will be closed for all operations from 8pm to 6am 9-16 Sep.
8. Webmaster Report: Published 5 articles, deleted 41 SPAM registrations and 145 SPAM comments on the Forum, and updated website software 3 times. The website had 320 unique visitors, averaging 1:30 each, and viewing 1.9 pages per visit. Most visited pages (823) were in order: Home page, For Sale, Hangar availability, join/renew page, meeting minutes, airport businesses, summer newsletter, and contact us. 13. Adjournment: The meeting was adjourned at 6:15p.